COMBINING THE GROWING OF PLANTS WITH AQUATIC ANIMALS. The idea of growing a few vegies in the back yard is nothing new. It's been around as long as the back yard has. In fact, growing "vegies" probably resulted in the invention of the back yard. (No longer hunter foragers, humans became farmers.) These days growing plants in the back yard is done, more for love than necessity. The opportunity has now presented itself to actually make extra use of the water used to grow the "vegies". Aquaponicts is a rapidly growing commercial activity. Large commercial operations are developing around the world, including Australia. Back yard, or urban aquaponics, is also growing in popularity. Ausyfish will ship a variety of fingerlings to you for this activity. If you live in a capital city we ship to your airport, or if you are between Rockhampton and the Gold Coast we can ship directly to your door. In fact we can get fish to almost anywhere in Australia. The smallest consignment is 50 fish. Prices vary depending on the number of fish ordered. How to order fish click here. Commercial growers of fish grow many tons of fish in tanks, using sophisticated filtration equipment. These growing systems are called "Recirculating Aquaculture Systems", or RAS for short. A back yard aquaponics system is essentially the same thing on a small scale. Some species of fish are better suited to growing in a RAS. 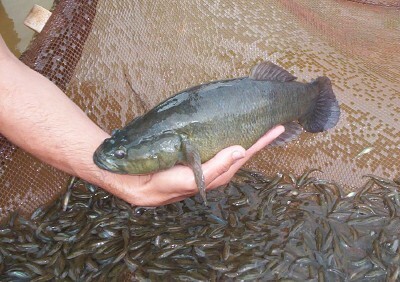 for example, silver perch, an excellent pond culture fish, but not so good in tanks. Once this species achieves about 300-350gms, additional growth becomes very difficult. If you choose silver perch, don't expect to raise them to a greater size. There is always an exception to the rule, but generally this is the case with silver perch. On the plus side, silver perch will tolerate low temperatures quite well. Prices and availability. 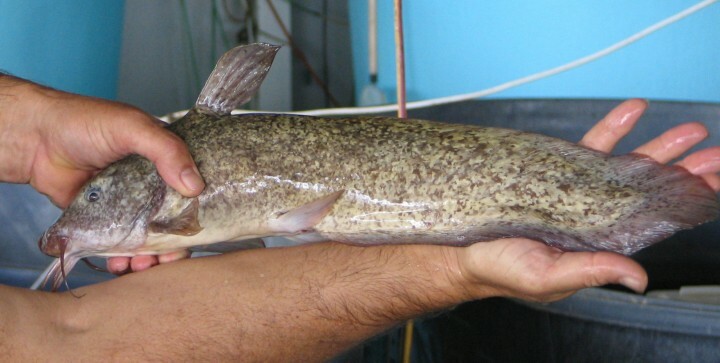 Catfish, (Tandanus tandanus) are a very useful fish to include in your system. They are scavengers, but will eat small fish that they can fit in their mouth. Generally bottom feeders, they will eat any food that is left by your perch, and help to clean up the droppings from your perch. They keep things moving down at the bottom of the system, and in all the little spots where wast can hide and build up.Temperature tolerance is wide. Anything your other fish can handle, they will be happy with. You only need a few in each tank. Not much information is available on their growth rates but with more people adding a few to their systems it won't take long to build up some knowledge. The big bonus is, they too are excellent on the table. Their flesh is white and delicate. When you are ready to eat them just humanely dispatch them. Before gutting and heading them, pour hot water over the skin. Then the skin can easily be peeled off. The protective coating of mucus will not be slippery once the hot water has been applied. Cook them a bit longer than perch to produce the best texture. Undercooked, they can be a bit too moist. Prices and availability. 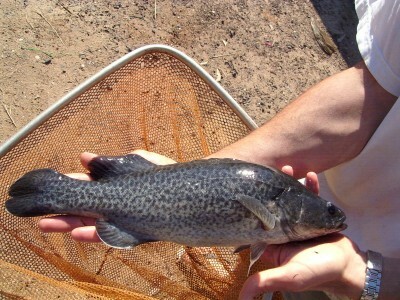 Murray cod are a fast growing fish. They would be he fastest growing of all the fish available from Ausyfish. When you consider their full genetic potential it's not surprising. Compared to silver perch and jade perch, which have a genetic potential of only a few kilos, Murray cod have the genetic potential to reach around 50 kilos ! This means a 1kg fish, IS JUST A BABY ! They also have the best temperature range for survival and growing. They are only suited for grow out in tanks as they need to be kept at high density to suppress territorial behaviour. They are PERFECT table fish ! Fingerlings are available for a brief time from late November. You can have your name placed on our list to be advised as soon as they become available. Prices and availability. Sleepy cod are an excellent table fish. This species is best suited to tank culture. Grow-out in ponds has not been very successful, however tank growout has worked very well. Some commercial growers have experienced slow growth, however, others report quite acceptable growth rates. This species is a little more challenging because of the need to keep them crowded, and feeding. They need warm water. Prices and availability.